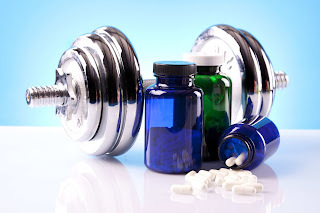 Sports Nutrition Supplements - Do You Really Need Them? Just because all the magazines, guys and the gym and most other people you talk to say you need sports nutrition supplements, doesn’t mean you need them. Ask yourself why you’re taking them. Most people involved in fitness or weightlifting start taking supplements because they think they have to with no thought as to why. Considering how expensive sports nutrition supplements are it can sometimes be hard to understand how people can easily hand over their hard earned cash for these products. To start with you should consider whether or not your diet is in order. You should be able to get all the nutrition you need from the food you eat. If there is a shortfall then you can supplement your diet to make it up. That’s why they’re called supplements. They are there to supplement the diet you already have in place. Many people who take sports nutrition supplements have a terrible diet in place. Then they wonder why they’re not performing at their optimum level. When they don’t see any results they then blame the sports nutrition supplement. This to me is crazy. All they have to do is eat right and their results in the gym will improve massively. And guess what, they don’t need any of their ‘miracle’ supplements. By eating a wide and varied diet that includes protein, carbs, and fats will be a giant step in the right direction. Include plenty of healthy fruits and vegetables, and drinking plenty of water will leave you feeling energized and ready for the gym. By improving your performance in the gym you will improve your chances of success in reaching the body you want. Therefore if you get all your calories from real food, you don’t need any sports nutrition supplements. The problem is that many athletes and strength trainers find it hard to consume the correct number of calories from food alone. Therefore, they need to take some form of sports nutrition supplement. Not all sports nutrition supplements are necessary when consuming a wide and varied diet. So, what supplements should you take in order to perform at your best? Taking a good multi-vitamin can be hugely beneficial ensuring you get all the vitamins you need. However, don’t go for a vitamin sold at your local grocery store. Instead buy ones designed for high performance athletes. You will be able to find these at your local nutrition center or here at the tpxmuscle store. It can also be a good idea to invest in a good recovery drink or formula. By taking a recovery drink after your workout can speed up recovery getting you ready for the next days training, and also replenish your energy levels for the rest of the day. Other than that, any sports nutrition supplements you think you need are likely to be wasted money. So save your money to spend on real, actual food. Healthy eating will help you perform at your best, not the most expensive supplements. Don’t believe all the advertisements and marketing schemes for advanced sports nutrition that are only designed to make you part with your hard earned money.